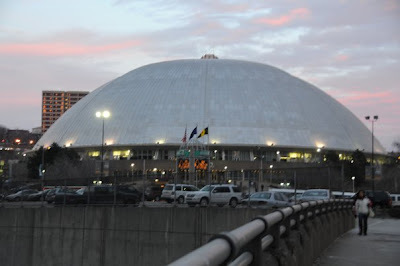 It’s a brisk hockey night in Pittsburgh, as you walk up the Steel Plaza stone steps, you are welcomed by the sound of car horns and the sight of the most unique building in the city; the Mellon Arena. You make your way across the street avoiding the usual impatient pissed off driver inching closer and closer to you as you cross in the crosswalk. Walking up the sidewalk, the Igloo looks even better, as you join 50 other Pens fan waiting to cross yet another city street. As the front doors open, the excitement builds up, the smell of hockey is now in the air. Tonight will be the Crosby Show with special guest appearances by Evgeni Malkin, Jordan Staal, Marc Andre Fleury and many more. That night you were fully prepared to cheer on Sidney Crosby, but not tonight. 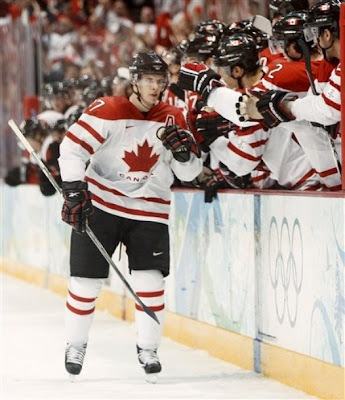 At 7:40 this evening, Team USA and Team Canada are taking center stage and Sidney Crosby is the opponent. On Thursday night, Sid was the hero scoring the shootout goal that allowed Canada to top the Swiss. As a Pens fan you would love to see Sid dominate but tonight as a Team USA fan you hope and pray he has an off game, though that’s highly doubtful. Tonight is one of those nights you have to put your dedication and love for the Pens to the side and put your country on your sleeve. Team USA is just as decorated as Team Canada is, just to mention a few on the offensive and defensive side; Patrick Kane, Zach Parise, and Pittsburgh native Ryan Malone; Brooks Orpik, Jack Johnson, Ryan Whitney and Erik Johnson on the blueline. A game like this will bring out the best of fans, some Pens fans will become enemies, while other will join together in cheering their home land on. Though it may seem like a sin to root against our beloved Captain Sidney Crosby, think of it as an unique experience. I mean how many times in an season can you say, “As a Pens fan, I want Sidney Crosby to fail tonight”, not many, well really not at all. So as you try and find something to do until 7:40 this Sunday evening, remember at then end of all this Olympic craze we will still be Pens fan who will cheer on our Captain till our heart’s desire. 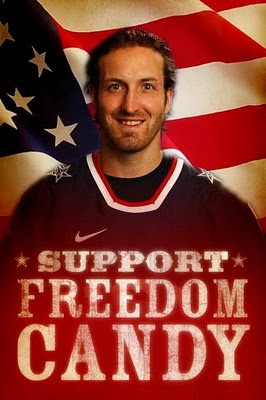 If Brooks Orpik won’t have any problem dishing some Free Candy on Sid tonight, then I have no problem cheering Team USA on for the win.